XFORCE produces exhaust systems for Nissan’s popular 350z and 370z models. 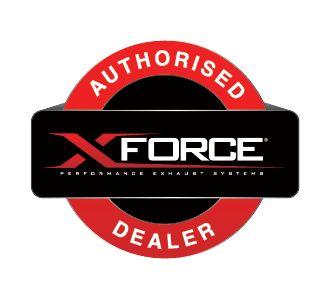 XFORCE exhaust systems are designed to be a true bolt-on option and power gainer. All exhaust systems are R&D in-house and dyno tested with proven power gains. 304 Stainless steel mandrel bends, and flanges are used in the construction for its strength, excellent heat resistant, rust proof, high flow (mandrel bends) and finish properties. Everything in the XFORCE range includes bolts, nuts, gaskets and everything else needed for a true bolt on experience. Unlock the ultimate performance and sound balance of your Nissan 370Z with XFORCE’s Twin 2.5″ Cat-Back System! Our direct bolt-on system features an X-pipe design, Dual inter-loop straight-through design rear mufflers and Dual side 4″ double-wall angle-cut tips. Have a listen! Dual side 4″ double-wall angle-cut tips. Find your local authorised XForce stockist HERE.